These are our home bred shrimp, solid looking colors and healthy. Black Zebra Pintos get their name from the beautiful stripes along their upper back. 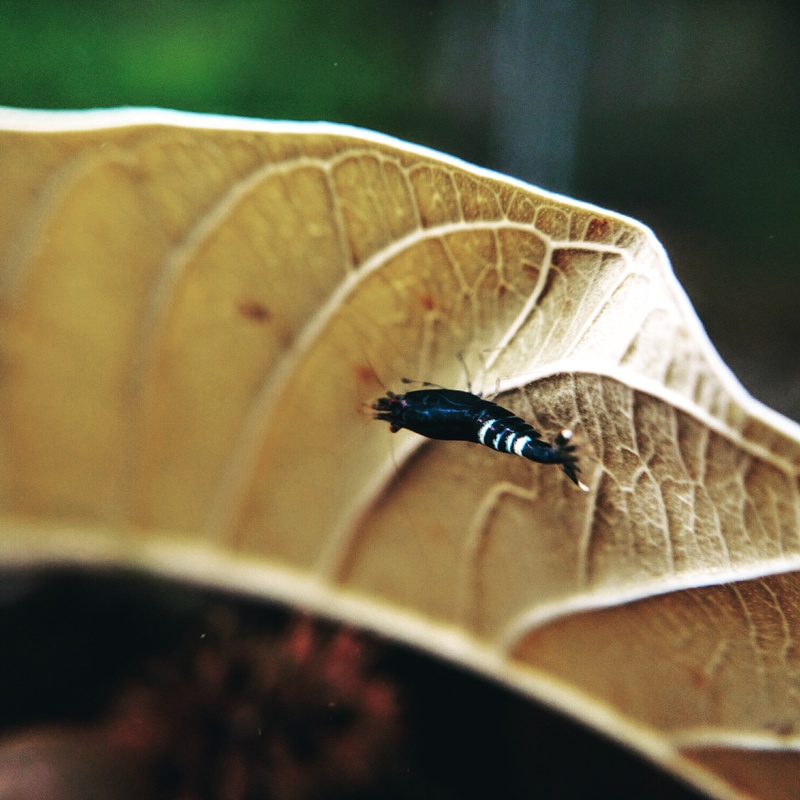 These delicate and fascinating freshwater shrimp are a result of years of breeding. Over the years, the Black Zebra Pinto still remain a classic Pinto. Because of their unique water needs we recommend the following parameters, or close to these parameters. We feed our shrimp a variety of foods, including fresh veggies, dried veggies, A.C. Exclusive Blend, and Lowkeys Ultra Supple. Shrimp will be shipped in breather bag and in a insulated box shipped from California. We tend to ship early in the week(Monday or Tuesday) to avoid any post office delays, but we are flexible with shipping per your request. Normally you will receive your order within 1 week after payment clears.